Tickets for the Library's Bash for Books fundraising auction and party are now on sale at www.wppl.org/bash. Bash has been twice voted "Winter Park's Best Charity Gala!" 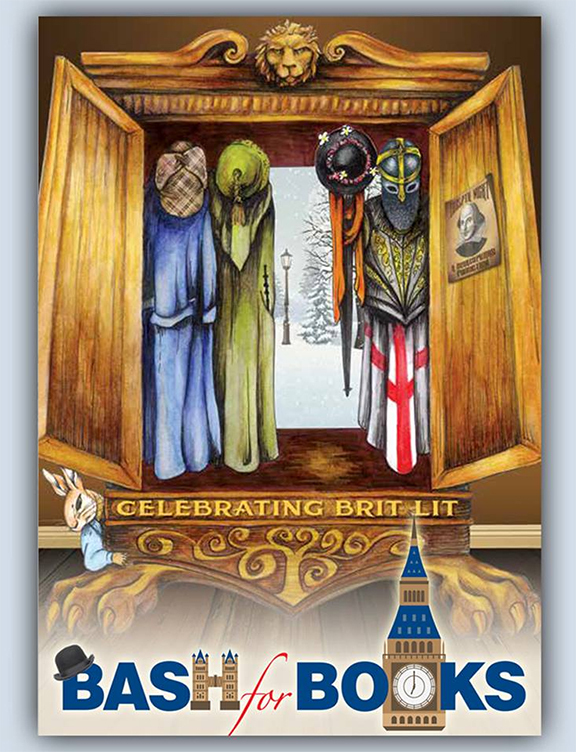 This year's event celebrates Brit Lit, a salute to authors from across the pond and their unforgettable characters. William Shakespeare, Agatha Christie, Charles Dickens, Ian Flemming, J.R.R. Tolkien, Jane Austen, C.S. Lewis and J.K. Rowling are just a few of those we're highlighting. Tickets are $150 each and include all food and beverages. This year's food and beverage stations feature some of the very best Winter Park has to offer: Arthur's Creative Events and Catering, Bake Me a Cake, Carmel Kitchen, Cocina 214, Firebirds Wood Fired Grill, Krispy Kreme, Shake Shack, Sonny's BBQ and Terlato Wines. Now in its 12th year, a secret to Bash's success is the incredible support from our community sponsors. Clayton Construction, Brasfield and Gorrie, HUB International, The Mayflower Retirement Community, WastePro, Westminster Winter Park, Wharton-Smith, Inc., Winter Park Memorial Hospital - A Florida Hospital, and many others that can be viewed at www.wppl.org/bash support this important fundraiser. Don't miss Winter Park's party of the year!